The brief was simple. 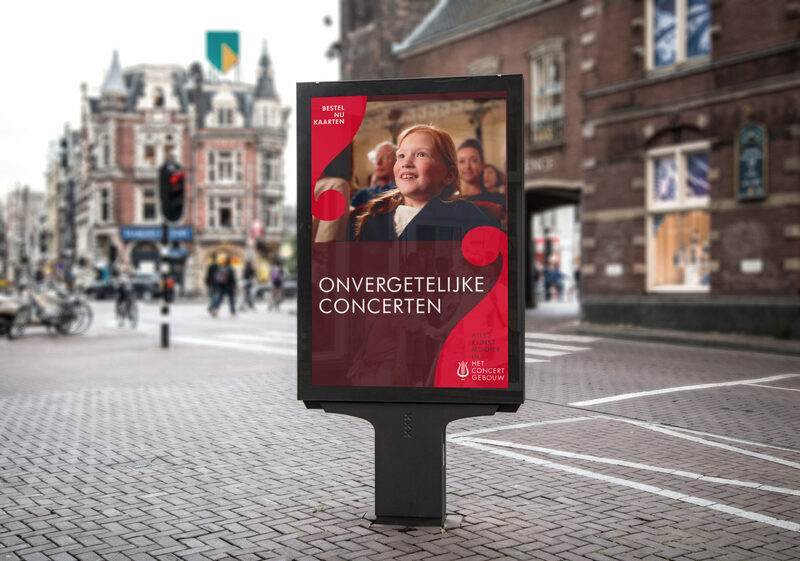 The Concertgebouw wanted to increase brand awareness and enhance the image of the Royal Concertgebouw among non-visitors. In addition to a TV commercial, the campaign was activated through online, social media, print, outdoor and radio. Wolfstreet came up with an idea about two stories, which seem to differ at first, but are connected by the Concertgebouw. A young girl, visiting the Concertgebouw for the first time, and an older conductor, who directs his final concert. This juxtaposition was strengthened in the editing. Both the girl and the conductor experience their very own “unforgettable” moment at the Concertgebouw. With 25 crew-members, 3 actors, and almost 200 extras we were able to bring this roadshow to a safe conclusion. In the end, the brand awareness of the Concertgebouw was increased by almost ten percent. Truly an unforgettable experience! For the past 130 years, the Royal Concertgebouw has been creating unforgettable moments. The first glimpse of the imposing façade, decorated with a bright golden lyre. One thousand nine hundred seventy-four people applauding when the conductor is descending the stairs. The breath-taking silence, followed by the immersive sound of music.. You can discover these unforgettable moments for yourself, in the Royal Concertgebouw.